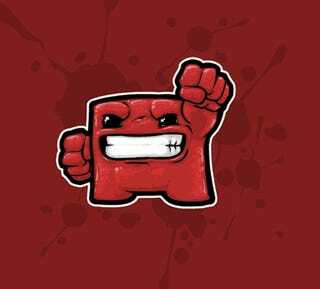 Edmund McMillen, co-creator of the popular independent PC game Gish, dropped us a line to let us know that he was making the jump to WiiWare with his latest, Super Meat Boy. Super Meat Boy is a classic platformer based on the the flash game Meat Boy, which you can still play over at Newgrounds. It puts you in the shoes...erm. Feet? Does it have feet? Hell, I'll just let the press release explain it. The game is being completely rebuilt for WiiWare, with more than 100 single player levels, insane bosses to defeat, competitive modes, and co-op play, which all adds up to one beefy chunk of gaming. Edmund and company will be keeping us up to date on the game's progress via Supermeatboy.com, where you can get all the latest news about meat and meat-by-products.